Mysterious Alien Creature, a vector portrait by Corey Watson / Laserblood. 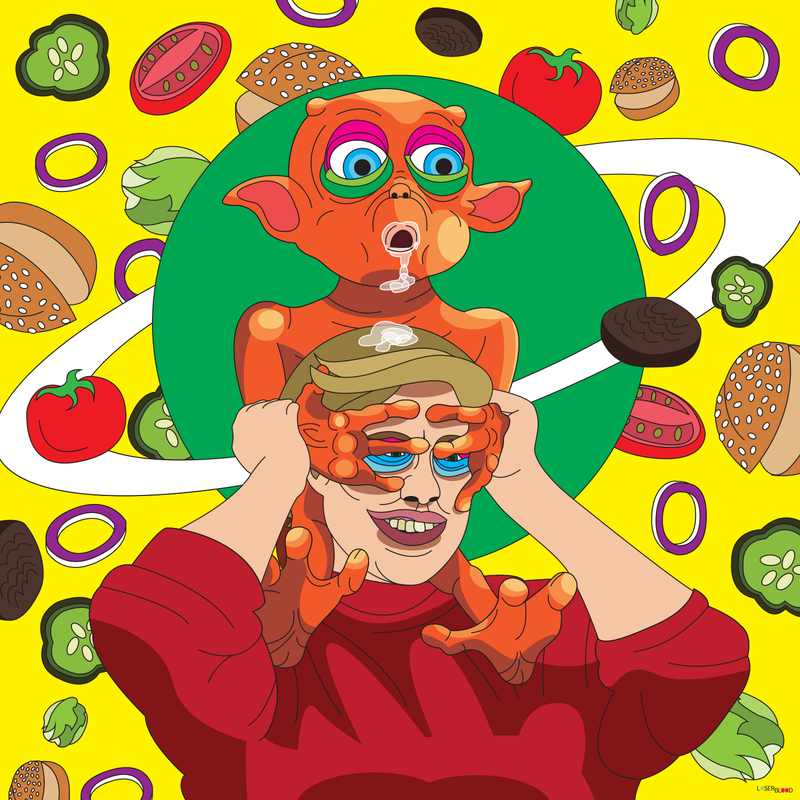 From my favorite space alien to Paul Rudd’s, you can own this amazing mash-up of fast food cuisine and dying alien species, inspired by the biggest bong rips this side of the galaxy. ‘Mac and Me’ was a movie from the 80s that was paid for and produced by McDonald’s and Coca-Cola, after failing to have wooed Steven Spielberg during the production of E.T. to include McDonald’s and Coca-Cola products. *** SPOILER WARNING *** MAC, which stands for Mysterious Alien Creature, and his dying alien family are saved from a mysteriously unexplained extinction by eating Big Macs and drinking cokes at a local McDonald’s. The movie is infamous for a scene involving a handicapable child falling off a cliff in a wheelchair.